Lottery winners must choose between a lump sum and annual payments. If you are one of the fortunate few who win a lottery jackpot, one of the first choices you must make is whether to take your winnings in a single lump sum or spread them out in annual payments over a span of 25 to 30 years. It may look like an easy decision, but there are a number of factors to consider in choosing one option over the other. While a lump sum payment will ensure that you have immediate access to your winnings, this option will actually pay out less than a lottery annuity due to tax laws. If you choose the lump sum rather than the extended payout, you will get much less money than the advertised jackpot value. If you choose the extended payout, the state takes the present cash value of the jackpot and buys an annuity or bonds that will generate interest to fund the future payments. 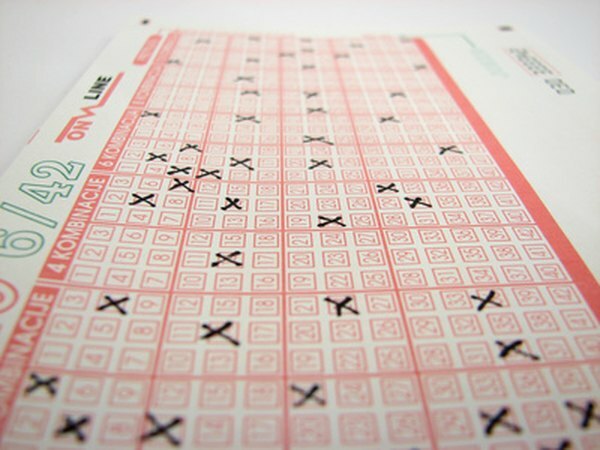 If you choose the lump sum, you will generally get slightly more than half of the advertised jackpot value. For example, if you won a $12 million jackpot in the multistate Mega Millions lottery game, you could take $461,538 a year for 26 years and get the entire $12 million, or accept a lump sum of $7,042,000, equal to 58 percent of $12 million. State lottery agencies say the lump-sum option is fair because you can get the advertised jackpot value if you wisely invest your proceeds. However, the state lottery can invest the entire present cash value of the jackpot while you will only be able to invest the after-tax amount. Therefore, to match the state lottery's payment installments, you would have to earn a significantly higher investment return on your lump sum than the state would need to get. If you take your winnings in a lump sum, you will owe income taxes on the entire amount in the year you receive the money. That financial windfall probably will push you into an upper tax bracket. Spreading out the payments over a couple of decades means you will owe taxes only on the amount paid to you each year. This may result in more after-tax dollars than if you take the lump sum. Your money management skills will affect your decision. Lottery literature is full of stories about winners who ran through their jackpot money in a few years and ended up worse off than before they won. By taking the extended payouts, your mistakes generally are confined to the current year. The annual installments let you learn from your mistakes and do better with next year's payment. If you squander the lump sum, you don't get a second chance to manage it better. Your decision may depend on your age. If you're young, you might want the extended payouts as a financial base for a business or lifestyle. If you're older, you might prefer to have all the money now and be free of financial worries for your remaining years. The state lotteries guarantee that if a winner who has chosen the extended payout dies, his heirs will get all the remaining installments. Investopedia: Lottery Winnings -- Take the Lump Sum or Annuity? Money: Should Powerball Jackpot Winners Take the Annuity or the Lump Sum? Are Lottery Annuity Payments Transferable? "Lump Sum Retirement, Annuities & Social Security"
What Is a Single Life Annuity?